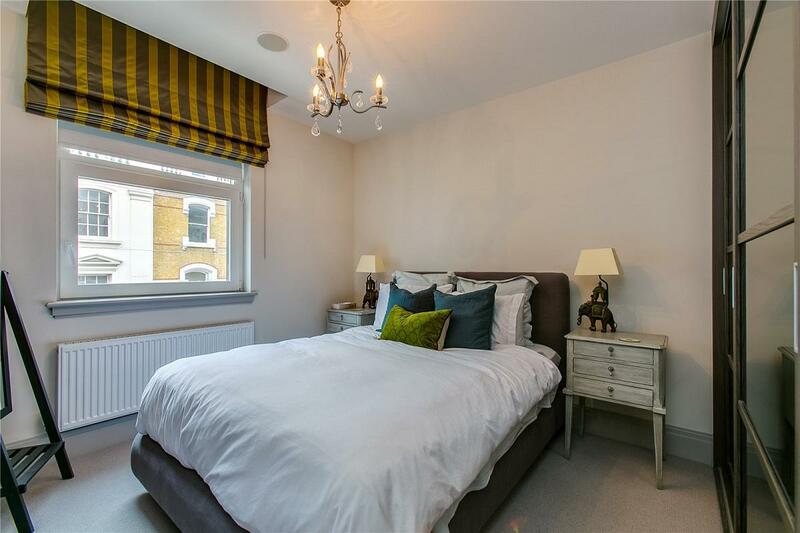 A stunning second floor modern apartment, located in the heart of Richmond. The apartment offers a generous open-plan living/dining room, of over 30 ft long, with a fitted kitchen, two double bedrooms, one with an ensuite shower room, and both with fitted storage. There is an additional bathroom and further storage in the hall. The flat is finished to an exceptionally high standard. Conveniently placed for the amenities of Richmond town centre and excellent transport links via Richmond station, with London Waterloo and London Victoria being accessed via Southwest Trains and the District Line respectively. "Stylish apartment in central Richmond."